Arsene Wenger has made a huge statement this summer by signing two teenagers that are set to take the Premier League by storm. Alex Oxlade-Chamberlain and Joel Campbell both join the Gunners after Wenger came under heavy criticism for not signing quality players. After the loss of Cesc Fabregas and the expected departure of Samir Nasri, maybe these two won’t be seen as ideal replacements. Alex Oxlade-Chamberlain, son of former England international Mark Chamberlain, is a speedy winger who’s performances for Southampton last season saw a flurry of interest in him from the Premier League. Many fear that Chamberlain will emulate the move of Theo Walcott. There was a lot of media pressure on Walcott to impress in the Premier League and although he has became a renowned England midfielder, one could argue that he hasn’t fulfilled the potential that he was once said to have. 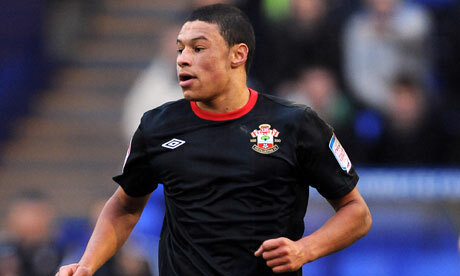 Chamberlain scored 9 goals in 36 games for Southampton last season and was named in the PFA League One team of the year. His move to Arsenal was reportedly £12million but possibly rising to £15million. 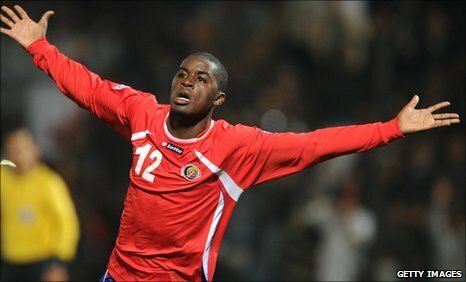 Joel Campbell comes from Costa Rican side, Deportivo Saprissa. He was the 2011 CONACAF Under 20 Championship top scorer and was his side’s top scorer in the 2009 CONACAF Under 17 Championship. His performances have recently earned him a call-up to the senior side where he made his debut in the 2011 Gold Cup. Despite the hype that is surrounding Campbell, he has only made 8 appearances in two years in Costa Rica’s Primera Division and last year he was sent out on loan. Nevertheless, it is no secret that Arsene Wenger has a good eye for youth talent. Jack Wilshere, Cesc Fabregas and Nicklas Bendter are among many others that have came to Arsenal very young and made it all the way through to the first team and becoming regular Premier League starters. The Youth Radar will be watching these two players very closely this season. Arsenal kick off their season against Newcastle at 5.30pm today and although a performance from Campbell seems unlikely, we hope to see Chamberlain in action and assess how he will do in the coming Premier League season.